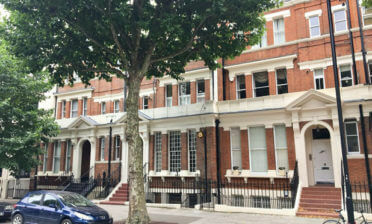 Shaun and Mark were in Beckenham, Kent to install some shutters to 3 different rooms of a home. The client was looking to have shutters designed and installed for their living room, upstairs bedroom and dressing room area after recent renovations. 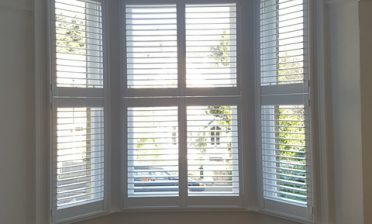 2 of the windows were bay windows and required many shutter panels carefully manufactured and fitted to perfectly fit the areas. The dressing room featured a pointed style of window which we were able to create bespoke shutters for which fully function as they should and look fantastic! 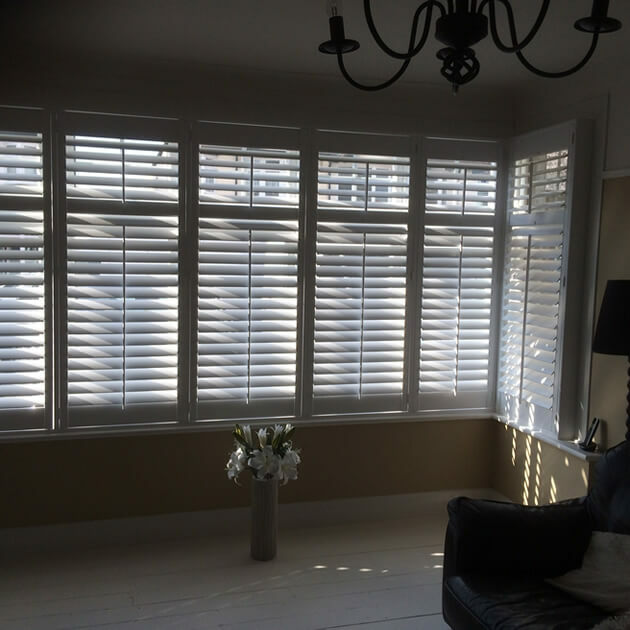 For this job we created the shutters using our Antiqua Range in a full height style throughout the rooms. As with many of the projects we create shutters for, we needed to keep all shutters in the same style and finish throughout, even if the windows are all different sizes. 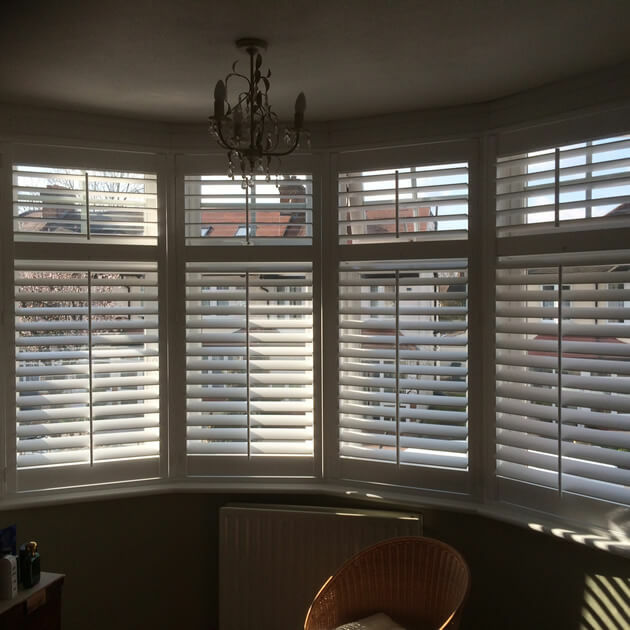 All shutters feature a mid rail near the top which allows for more flexibility when adjusting the louvres. The owner can adjust the tops and bottoms separately depending on the light and privacy required in each room at any time of the day. We used 76mm louvres with central tilt rods on all panels, creating a classic, yet modern look which was then finished in pure white with matching hinges. 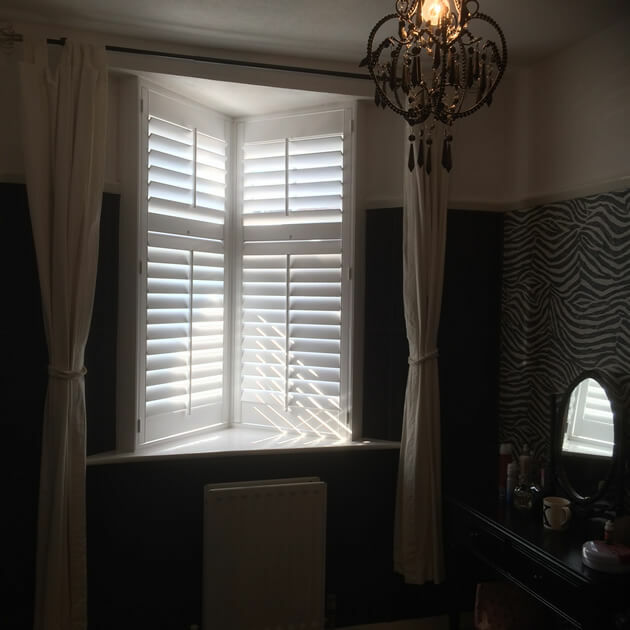 The shutters look great in all locations, improving the overall look of each room and making adjusting natural light and gaining privacy far easier for the customer.